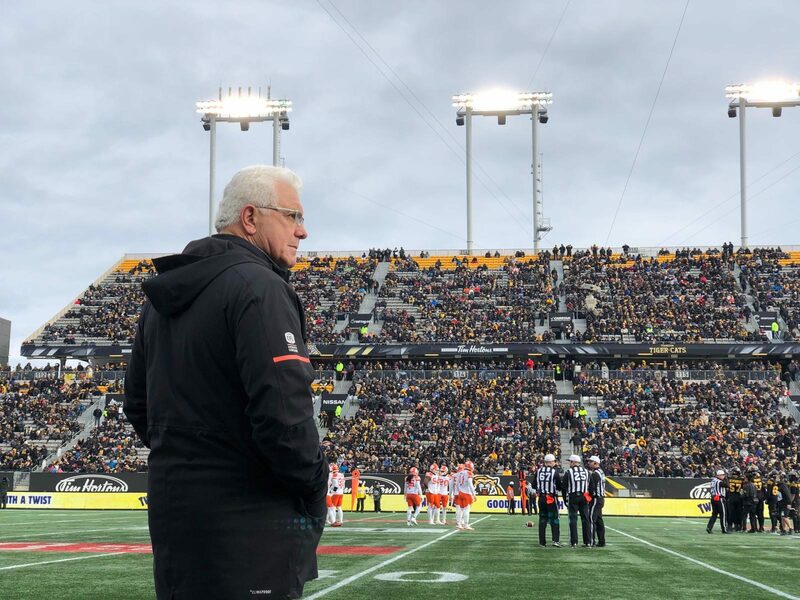 As Wally Buono was clipping on the lav microphone ahead of the final official press conference of his brilliant head- coaching career, you could sense the emotion and reality of his goodbye was finally settling in. Yet it took until the ten and a half minute mark of his last media debriefing when Global BC’s Jay Janower asked the CFL’s all-time wins leader to sum up his great legacy to see Buono finally at a loss of words. “The answer you don’t expect until you hear it is ‘why me?’ That’s really all I can say,” said Buono while fighting back tears after nearly a 60-second pause. 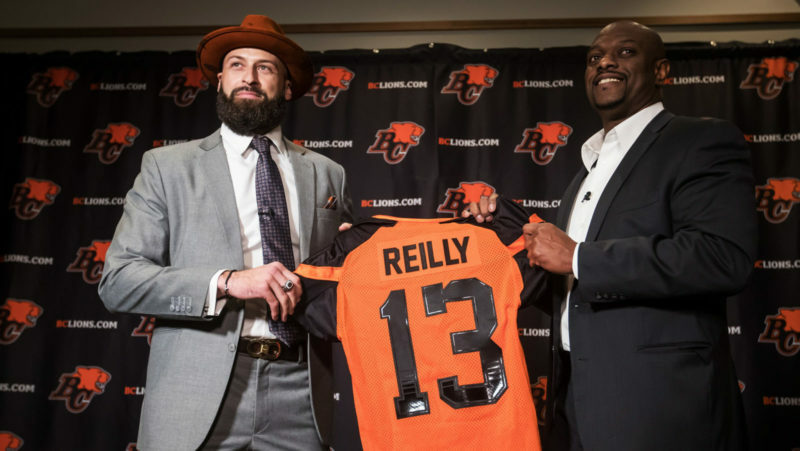 Buono’s brief moment of reflection helped represent a wide range of feelings as the 2018 BC Lions players, coaches and staff members gathered together one last time as a complete unit. Some will immediately scatter to their offseason homes. Others will stick around and tie up loose ends before skipping town. And a select few will be here until training camp opens next May in Kamloops. Now more than 48 hours after it came to an abrupt end in Hamilton, we are quickly reminded that the roster won’t look the same in 2019 with as many as 35 players are eligible to become free agents in February. But now that the initial disappointment of Sunday’s loss has subsided, the organization is reflecting on some of the good things they accomplished after few outside these walls expected much improvement from the 7-11 finish last season. “I’m proud of this team. As I spoke to them earlier I said to the guys, when we started together there wasn’t one so-called ‘expert’ that had you guys pegged to make the post-season. You were supposed to finish eighth or ninth in the league and kind of be fodder for everyone else. To be able to accomplish what you were able to do should be seen as a positive for the remainder of your careers, whether you choose to stay or go elsewhere. A roller coaster of emotions after what seemed like very much of a roller coaster season. As veterans were cleaning out their lockers and preparing for their exit interviews, all they could do was reflect what ultimately went wrong. “This has to be one of the most up and down years I’ve ever been a part of,” said receiver Bryan Burnham. Coming off his third straight 1000-yard season and slated to be a free agent himself, Burnham was motivated at Hervey’s address during the final team meeting. He indicated his plan is to stay in the lower mainland throughout the winter and let the process play out as it may. 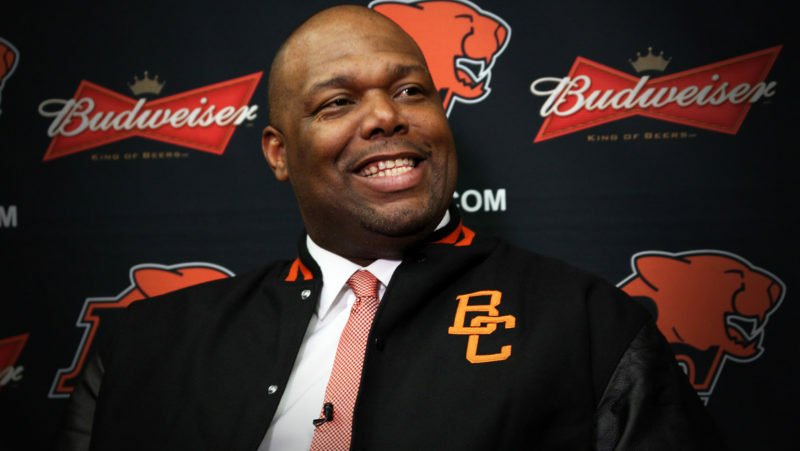 “What out for the BC Lions in 2019,” said Burnham of the message. Different kinds of emotions indeed. Unless you’re the team that sips from Lord Earl Grey’s trophy, there always is. 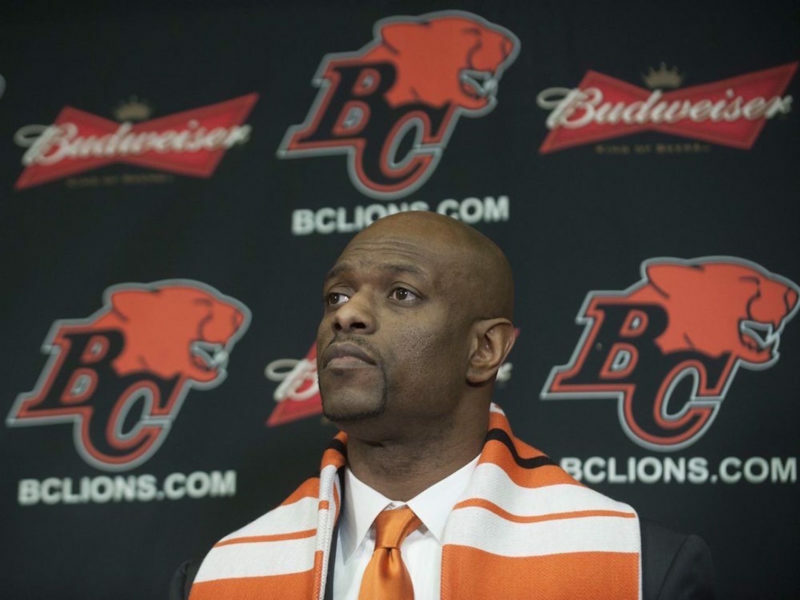 Hervey’s first order of business will be to hire a new head coach at some point after the 106th Grey Cup. When asked during his press conference what he is looking for in Buono’s replacement, Hervey admitted he would not be casting too wide a net. 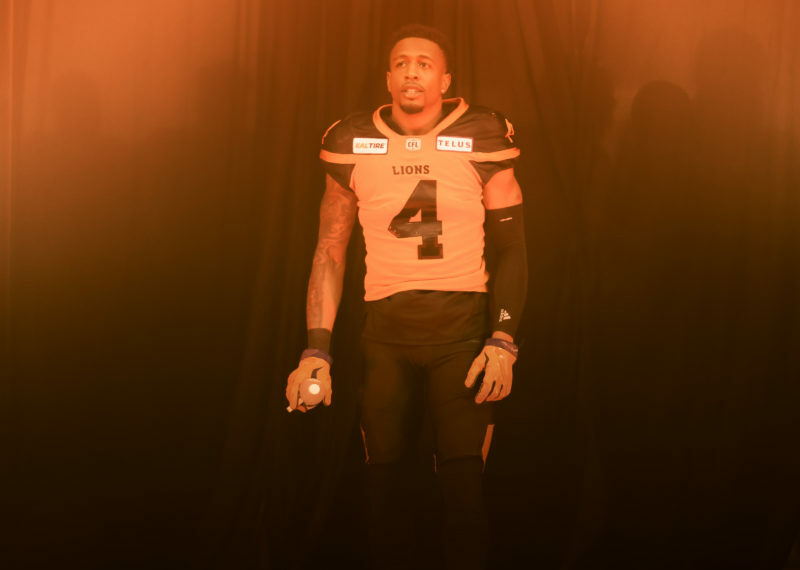 “It’s going to be a CFL guy. I believe that we cut our teeth in this league for our opportunities,” explained the GM. Whoever that next leader may be is just another big piece to what should be a very interesting offseason puzzle.